Teradata helps companies harness analytics and data to solve key business problems. That goes far beyond data and hardware to operational excellence and asset optimization, to customer experience and product innovation, to finance transformation and risk mitigation. Teradata works with some of the best-known brands in telecom, transportation, consumer packaged goods, financial services, and manufacturing. The company turns the most complex and challenging data sets into high-value assets that produce insight and tangible value for businesses. “The Sentient Enterprise: The Evolution of Business Decision Making” was about to be published. Authors Oliver Ratzesberger & Mohan Sawhney needed a more consumable piece of content that captured the meaning of the book to be presented at a series of VIP Workshops nationwide. Our team was uniquely qualified to help introduce this unique idea based on our prior work with Co-Author Oliver Ratzesberger, Chief Product Officer at Teradata. Over a three-year period, we had the opportunity to create and perfect his ideas about how businesses can create powerful frameworks to connect analytic power, business practices, and human dynamics in ways that can transform what is currently possible. During our design process, we were also asked to provide 10 chapter illustrations highlighting the central concepts for each section of the Sentient Enterprise Book. We produced a series of comprehensive, hand drawn, whiteboard style, illustrations that were published in the book. 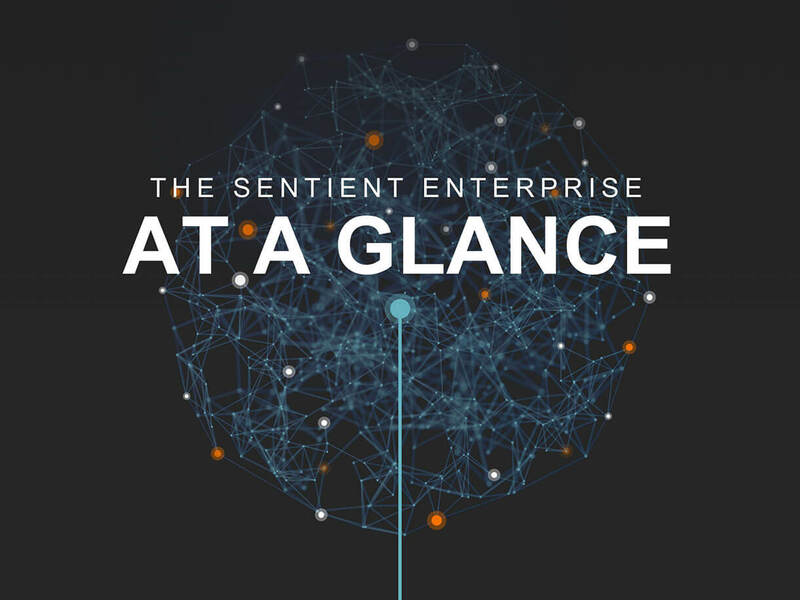 Each Sentient Enterprise workshop began with a 45-minute presentation introducing the audience to the concept along with 5-stages of approaching data with this methodology that will lead companies to gain knowledge and make responsive decisions. Following this presentation, workshop attendees were divided into groups and asked to apply concepts from the Sentient Enterprise to top challenges their companies currently face. To reinforce their learning, Duarte created a Slidedoc version of the presentation which provided attendees with a comprehensive learning package. 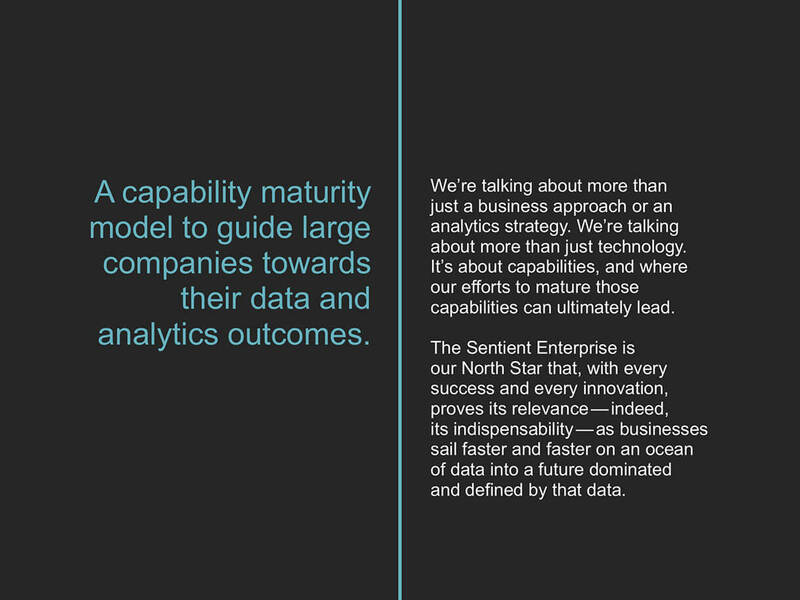 This was both the authors & Teradata’s chance to introduce the Sentient Enterprise Methodology to an executive audience that is capable of implementing these ideas in a way that could give their business a real competitive advantage. These workshops introduced business leaders to this new approach to agile decision-making in the age of automaton and self-service.